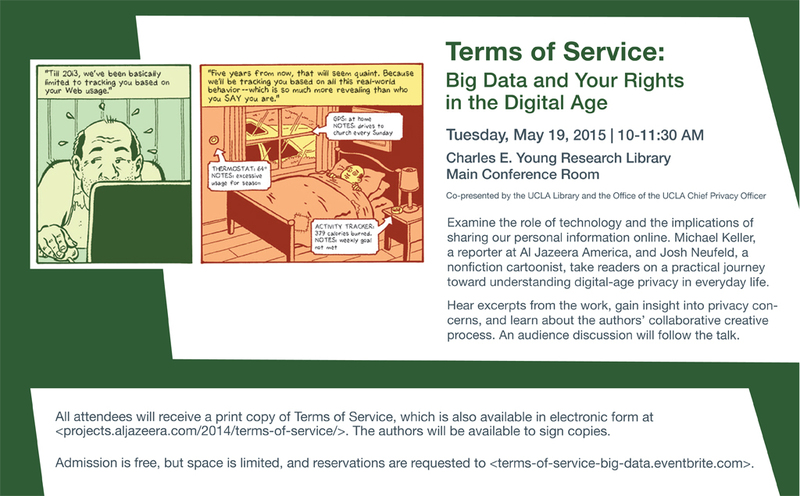 The graphic novel Terms of Service examines the role of technology and the implications of sharing our personal information online. Keller, a report at Al Jazeera America, and Neufeld, a nonfiction cartoonist, take readers on a practical journey toward understanding digital-age privacy in everyday life. Come hear excerpts from the work, gain insight into into privacy concerns, and learn about the authors’ collaborative creative process. An audience discussion will follow the talk. Admission is free, but space is limited, and reservations are requested to <terms-of-service-big-data.eventbrite.com>.